Thanks for the support given all this while. Yes, I’m still alive. 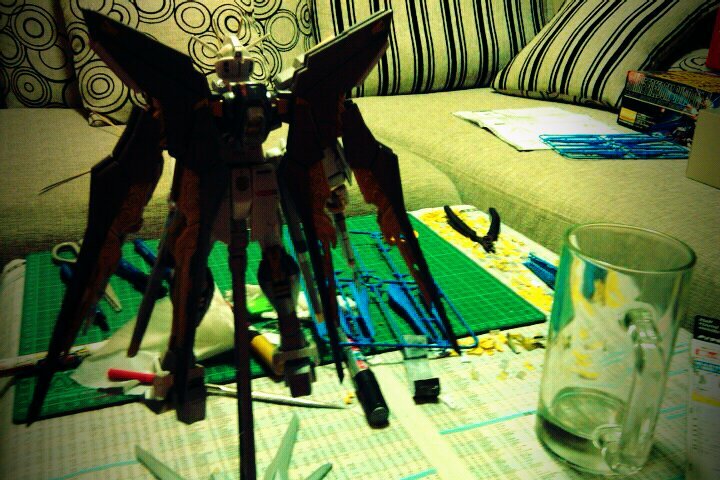 Currently working in Dubai, that’s why there isn’t any Gunpla update from me. 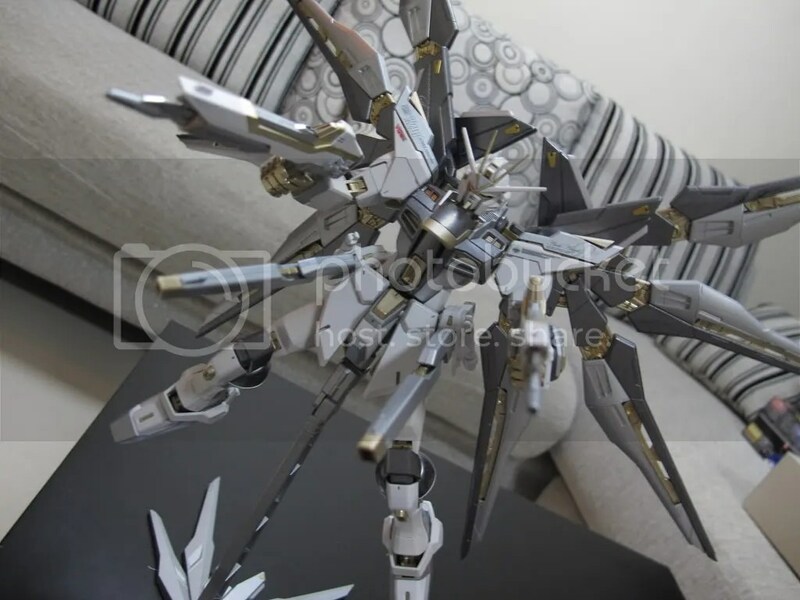 Anyway, there isn’t much “big news” to talk about regarding Gunpla recently, other than the rather disappointing anime release of Gundam Age… Well, it is not my kind of Gunpla anime, but the Gundam Age Normal is quite a nice looking kit to be honest. 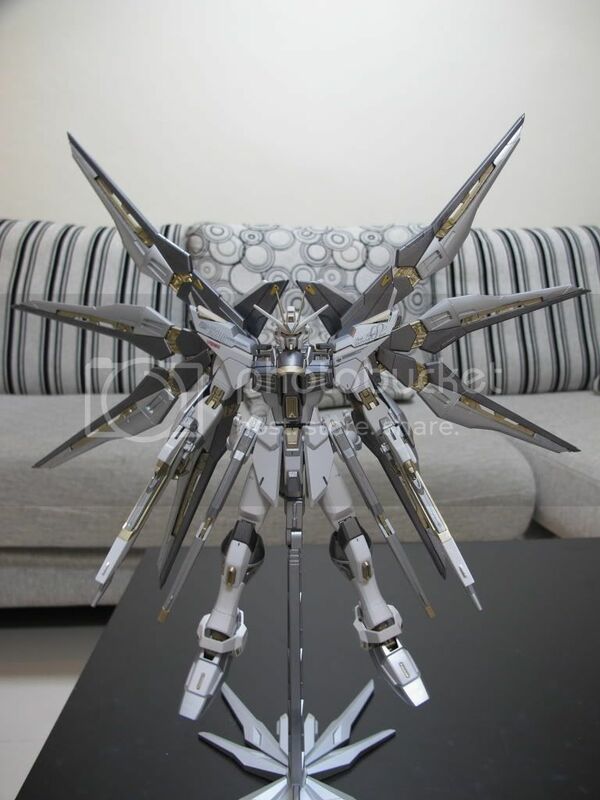 Other than that, expect a series of SEED wave back into action in near future… as the HG remake has already been released… I believe some MG are on their way as well… BANDAI will not waste the Strike Gundam Frame from being utilized for other kit… well, Duel Gundam is on it’s way already… The only “wow” would be the “official” debut of Unicorn Gundam Bansee…yup, looking forward for it, and the Full Armor Unicorn Gundam release as well. 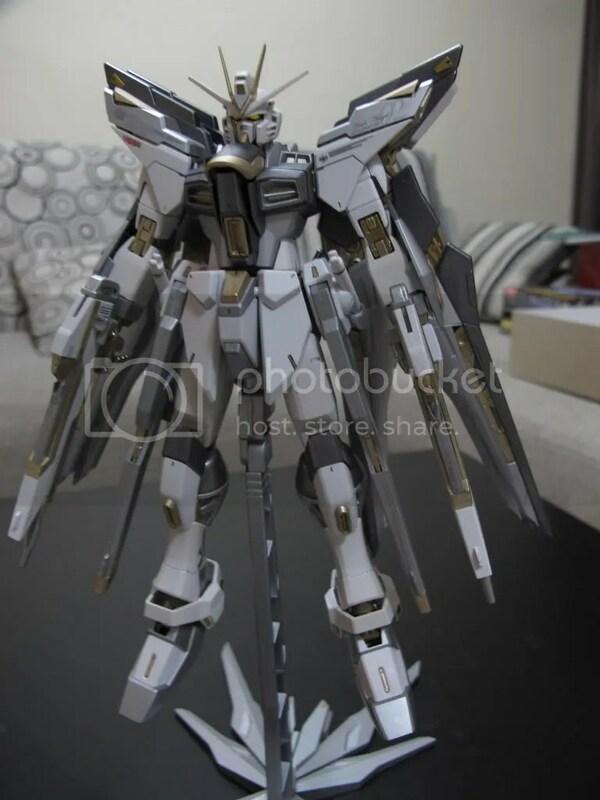 Finally completed… my very first custom made Strike Freedom Gundam! 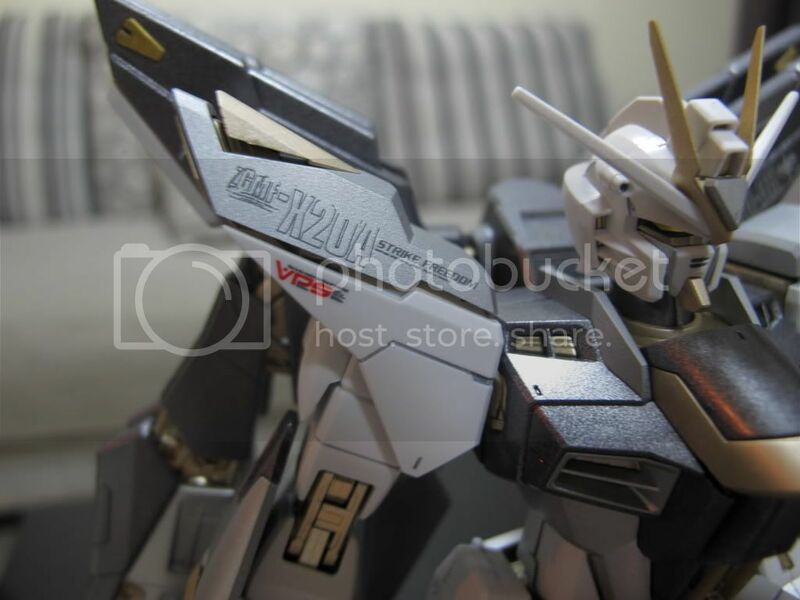 And my very first custom made attempt on MG kit! Well, it should be a whole lot to be excited about and there are many imaginations and ideas running… but as I’m running out of time and material, everything end up to be a little short from what I have expected… some seam lines were not removed… some part still looks rough after sanding as i do not have a surface primer to cover the tiny flaws… anyway, I still enjoy the build very much and still I like this kit very much! No modification on the head and body. For the shoulder armor, I sand it down further on the gap between upper and lower armor to reveal the inner frame. 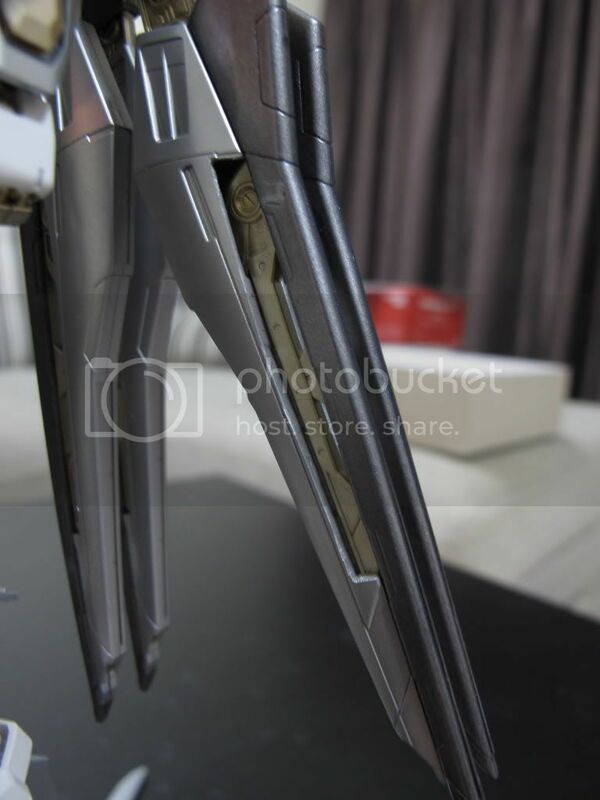 I had also modify the top pieces (the tiny gold part) to strike out (like the PG Strike Freedom). 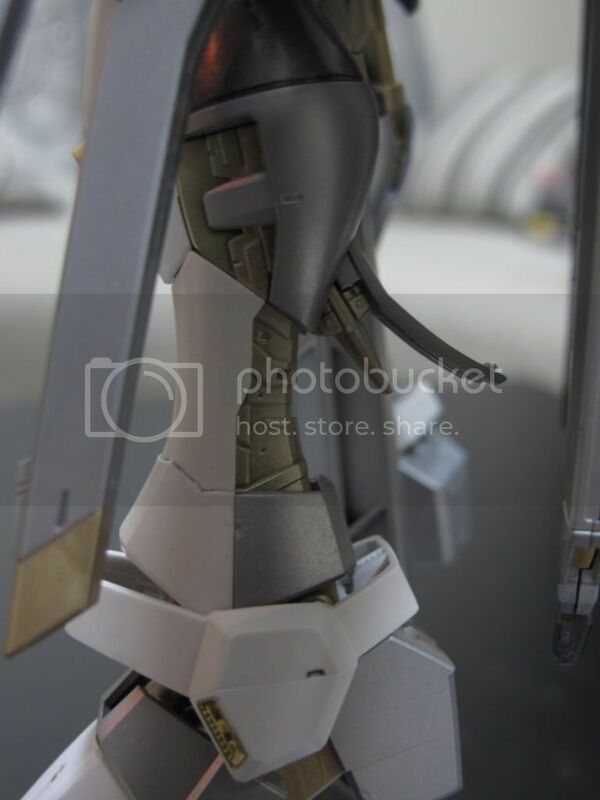 Next, nothing much on the arms as well, just sand down the armor to reveal the inner frame and that’s it. No modification on the armament as well. Everything remains the same as it is for the waist too. For the leg, there’s more modification done. 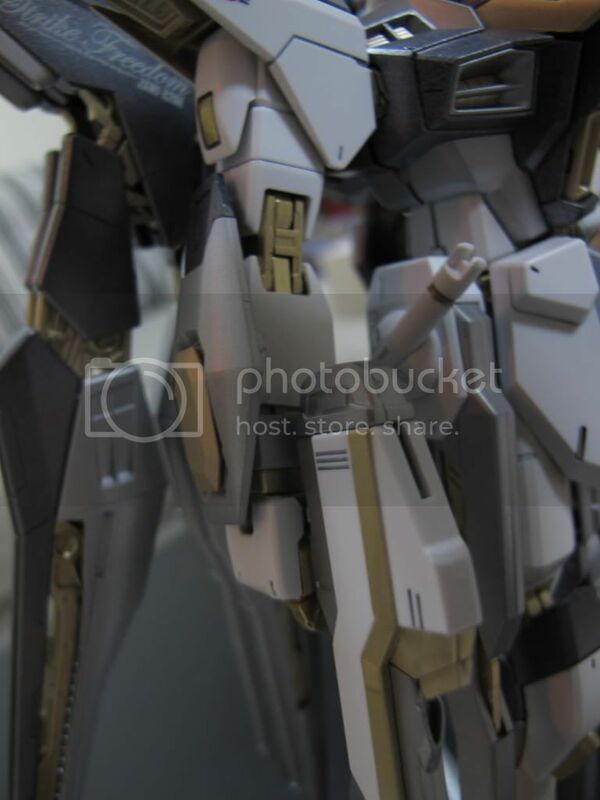 Trim down the armor on the back to reveal the inner frame… and you should be able to see the two tone color on the ankle armor. Using light gray and white. No modification on the wing itself, but I had modify the dragoon units by chopping them down to reveal the blink blink inner frame. Nothing major actually, just cut down half of the dragoon units, sand them accordingly. Well, I was not able to modify the wings to become like the PG… this is the best I can do to make it shows the inner frame on the wings. Tools and materials: Gloves, mask, Tamiya Putty White, Tamiya Finishing Abrasive P400, P800 & P2000, Mr, Cement, Diamond file, craft knife, cutter. Paint and etc: Gundam Panel Liner Black and gray, Masking tape, Mr. Super Clear (flat), Tamiya Paint Marker X-11 Chrome Silver, Mr. Color Spray Can (light gray, white, silver) and Tamiya spray can (light gun metal, gold). As what I mentioned previously, the color scheme is a mix of multi tone + phase shift armor. Light gray, white and the silver contrast very well, and light gun metal contrast well with the silver too. And the trademark blink blink gold inner frame was remained. Here’s the link to the gallery, hope you like it! Wings done… left only the Dragoon System… not much has been done on the wings… running out of all sorts of material has make it a tough job for me to complete this kit… anyway, other than leaving some seam line as it is and dropping some modification idea… overall everything is still progressing well… been painting this kit and I like the color scheme I used very much. Multi tone + phase shift concept… stay tune! 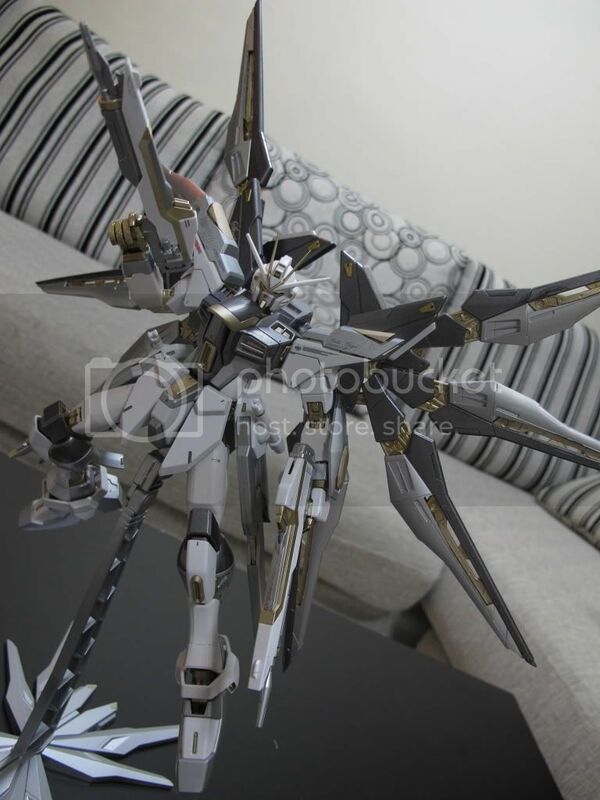 Feel free to browse my personal Gunpla page and post any comment.